Time stands still in small Greek villages that scatter the mountainous countryside. Everyday life is filled with gardening, livestock, siestas, and community. Routine is key and spending time with family is a way of life. All throughout Greece, you can visit villages where local farmers go door-to-door with fresh goat's milk, homes engulfed with the smell of Greek koulourakia coffee cookies, or stumble upon a holiday where the whole community comes out. I spent 8 days at my aunt and uncle's home in the Greek Macedonian countryside, just under an hour outside of the city of Thessaloniki. 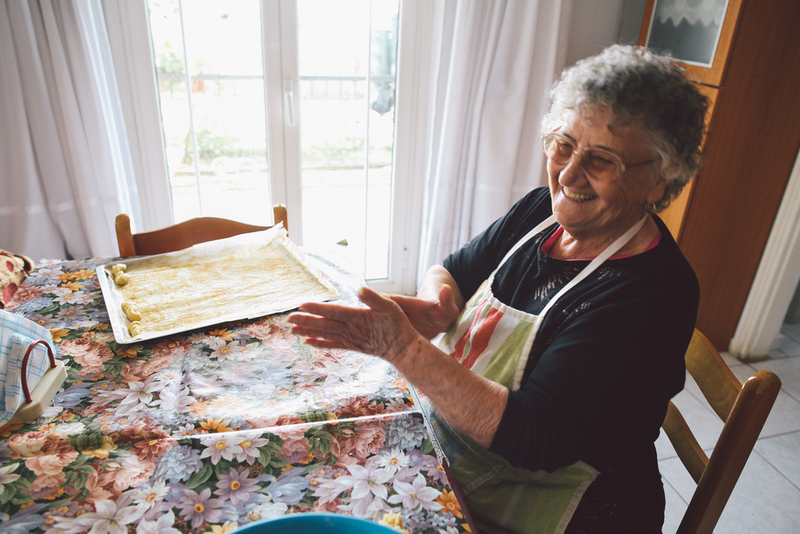 My aunt, Asimenia, wakes up early every morning to prepare breakfast. Like in many Greek villages, whatever is in season is what's eaten on the table. Since it was the end of November when I visited, the breakfast table was filled with koulourakia, tiropita, Greek coffee (or chestnut tea if you wanted), an assortment of cheeses, toast, and ham. During the day, my uncle Thanassi would tend to the farm animals and would make sure to go on long walks to stay active (he was 78-years-old at the time). What did I learn while staying with my aunt and uncle? I learned to slow down. I learned that family is important and that mealtime is a precious time to sit down with your loved ones and enjoy their presence. I learned that Greek coffee is strong but effective in the morning, and that there is nothing better than eating seasonal food. Slow down, enjoy your loved ones, and eat delicious food. That is the Greek way of life and I need to make sure I live this out.